The first migration of big online poker rooms from the U.S. market occurred in 2006. It happened shortly after the SAFE Port Act and its accompanying bill, the Unlawful Internet Gambling Enforcement Act (UIGEA), were passed. Since then, U.S. players have had to choose alternative poker sites, some of which were able to develop a huge presence in the absence of their competitors. These included Poker Stars, Full Tilt, and 888.com. In April 2011, another group of big poker sites were forced to abandon the U.S. market, leaving players with fewer choices than ever. Below, we’ll provide a guide to big poker sites for U.S. players along with a few recommendations for those who live elsewhere. We’ll also present some of the reasons to play at the large poker rooms. The number of players “sitting” at the tables at any given time is a good indication of the experience you’ll have playing at the site. The largest poker rooms online have so much traffic that you’ll rarely, if ever, have trouble finding a populated game. Whether you’re drawn to the micro stakes or high stakes games, you’re more likely to find both – as well as everything in between – at the big sites. More player traffic means more people filling the tables at all levels, from .01/.02 to $200/$400. Big poker sites attract more players to their guaranteed tournaments. As a result, they can offer larger prize pools. For example, prior to leaving the U.S. market, PokerStars organized weekly guaranteed events with the prize pools starting at $1 million. The smaller sites can’t match the same level of player traffic, and thus offering such large guarantees is all but impossible. Now that you’re familiar with a few reasons to play at the larger rooms, we’ll share our current list of favorites – for those in the U.S. and elsewhere. Keep in mind that player traffic, while important, is only one of several criteria to use when deciding where to play. We also consider the poker room’s software, game variety, customer support, and promotions. Here are our top recommendations for big poker sites that accept U.S. players. BetOnline Poker – They may be unfamiliar if you limit your online gambling to poker. But BetOnline has been around for years, mostly catering to the casino and sports betting crowd. They are now building their presence in the online poker industry. They offer a solid traffic stream with the majority of players gravitating to the low stakes holdem tables. You’ll find well-designed poker software, a wide range of easy deposit options, freerolls, and a “live chat” function to speak with their support staff. Visit BetOnline Poker, and explore the site for yourself. Luvin Poker – They’re a recent entrant into the online poker space, but have already gained a loyal following. One of the reasons is because they offer an “Instant Play” no download version of their poker software. You’ll also find a variety of tournaments, including sit’n’gos, multi-table events, freezeouts, and others. 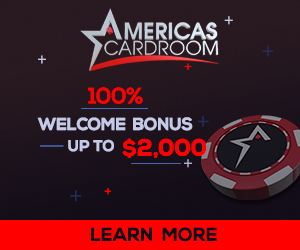 Visit Luvin Poker today to grab a huge 200% matching sign-up bonus up to $1,000. Intertops Poker – Intertops has been catering to online gamblers since the mid-1990s, so they are aware of the features players enjoy. They offer a generous sign-up bonus, plenty of player traffic, and intuitive poker software (they are part of the Cake network). You’ll also find an array of flexible deposit options. You can play holdem, Omaha, Omaha Hi/Lo, 7-Card Stud, and Stud Hi/Lo, and take advantage of their heavy fish population. Visit Intertops Poker today to claim a 110% match up to $600. List Of Big Poker Sites Outside The U.S. If you live outside the U.S., you’ll likely have access to the biggest online poker sites in the world. We’ll quickly describe the three titans. Poker Stars – Poker Stars continues to lead the pack with far more player traffic than any of the other big poker sites online. They offer a Mac software client, huge tournaments, and responsive customer support. They also provide an impressive game variety. While they are no longer open to U.S. players, PokerStars remains accessible to nearly everyone else. They are currently offering a 100% match up to $600. Party Poker – Party Poker left the U.S. market years ago. At that time, they were the largest poker site in the world, though Stars and Full Tilt overtook them. Following the implosion of Full Tilt, they are now ranked number two in terms of player traffic. They maintain a wide range of games and tournaments as well as a long list of ongoing promotions. Party Poker is currently offering a 100% match up to $500. 888.com – 888 Poker offers a straightforward playing experience without unnecessary bells and whistles. You’ll find a large Omaha audience, which is unusual for most poker sites. Stakes begin at the micro level ($.01/$.02), and scale upward to $200/$400 and higher. 888.com is currently offering a 100% matching sign-up bonus up to $400. We recommend that you stick to the list of big poker sites we’ve provided above. Take the time to try each of them. The only way to know which ones you prefer is to test drive them yourself.